The story of Abraham contains many parallels within itself. His and Sarah’s encounter with Pharaoah in Parshat Lech-Lecha finds a recapitulation in their later encounter with Avimelech in Parshat Vayera. Hagar’s first banishment is paralleled by her second. And the covenant that is established through circumcision at the end of Lech-Lecha is echoed in the reaffirmation of the covenant at the end of Vayera, through the Akedah (Binding of Isaac). The story also contains mirror images. The most famous of these comes at the beginning of the Akedah, when God instructs Abraham to “take your son, your only one, the one whom you love, Isaac, and lech-lecha, go to the land of Moriah” (Gen. 22:1). This of course reflects back the opening lines of the story of Abraham, which begin with lech-lecha el ha-aretz asher areka: Go to the land that I will show you (Gen. 12:1). A final recurrence of this type comes in this week’s parasha, when the Torah tells us v’avraham zaken ba-bayamim vadonai berach avraham bakol, “Abraham was old, advanced in years, and God blessed Abraham with everything” (Gen. 24:1). Rashi reminds us that bakol in Hebrew has the numerical value of 52, the same as the word ben, or son. Thus once Abraham had been blessed with a son, he was blessed with everything. Rabbi Samson Raphael Hirsch offers a different approach on the entire verse. In his unique style, he finds philological linkages between the roots of the words zaken, old, and sakanah, danger. Hirsch does not say that old age is a time of danger. Rather, he uses the word sakanah, and its related words saken (risk) and sikui (chance) to reflect that a person who is described as a zaken partakes of the openness to possibility possessed by a person mature in experience. Most usefully, he contrasts this with the word for adolescent youth, na’ar, which he reminds us also means to shake or shake off. Whereas during the period of adolescence we shake off that which has constrained us in the act of self-authorship, in ripe older age we sense what the developmental psychologist Erik Erikson called a period of “generativity,” when we are open to the world and able to give back to it. Quoting the Talmud in Bava Batra (16b), Hirsch says that this aspect of Abraham was so pronounced that people from far and wide could readily recognize his wisdom. Abraham’s openness to the world, his sense of integrity of mission and purpose with his outward actions, shone like a jewel. The haftarah for this parasha offers a useful contrast that further highlights Abraham’s achievement. Here we have the story of King David’s old age and death. And while David is similarly concerned with the future, he handles it far less elegantly than Abraham, focusing as he does on settling political scores and securing Solomon’s place on the throne among his feuding sons. Abraham had some of the same things to deal with–the future was not yet entirely secure, even though the line of succession had been established, since Isaac did not yet have a wife and children. But Abraham exudes a kind of grace and faith that things will work out which doesn’t come through in David’s story. Abraham is elegant, David is rough. Both are real. One reading of this passage is that Abraham simply fails to stick up for his wife. He allows Sarah to be taken into Pharaoh’s house, just as he will allow her to be taken by Avimelech in next week’s parasha. While he is right to be worried about the possibility of his own death at the hands of the Egyptians, his request to Sarah is of dubious moral standing. No wonder she has complex feelings about Hagar (the Egyptian, whom it seems may have come to their household only after this sojourn in Egypt), and a challenging relationship with her husband! Rashi, quoting the Midrash, offers a few readings of this passage. “Until now,” he says, “Abraham did not recognize her, out of her modesty. But now the situation led him to recognize her.” In this, Rashi’s first reading, something fundamentally changes in the relationship of Abraham and Sarah at this moment: for the first time, Abraham sees Sarah as physically beautiful. The danger of the situation, for his own life and for hers, leads Abraham to a new realization about his wife. His perspective is changed, and he sees the world differently. Rashi goes on to quote a second reading of the Midrash, which understands the passage to mean that, whereas most people look disheveled after a long journey, Sarah retained her beauty. Here the emphasis is not on transformation, but rather continuity: Sarah was unchanged. She was the same person entering Egypt as she had been all along the journey. “Now I know,” the linchpin of the possible interpretations here, is understood as Ramban understands it: “I know now, just as I have always known” (see Ramban on this passage). And of course this paradox of knowledge, understanding and recognition, extends beyond marriages or relationships. It informs our entire life. Plato said that education is the process of uncovering what one’s soul already knows to be true. Learning is simply an act of memory. And yet we also know that learning is discovery, the thrill of insight, the excitement of knowing what we never knew before. The journey of Abraham and Sarah, a journey to the land of Israel and to the idea of Israel, is marked by this paradox, of discovering what is bold and new, and of recovering what is radically old. Their journey is our journey as well. One of the questions that comes up a lot when I teach Parshat Vayera is this: Why doesn’t Abraham protest when God commands him to sacrifice Isaac, when he speaks up on behalf of the people of Sodom? The assumption behind the question seems to be that it is right for Abraham to speak up for the Sodomites, and that his failure to object to God on behalf of his own son is a moral failure. But I’d like to see what happens when we reverse the question: If Abraham doesn’t speak up when God commands him to sacrifice Isaac, why does he speak up for the people of Sodom? The keywords in this passage are tzedek and mishpat, righteousness and justice. Abraham’s objection seems to be this: If you punish the wicked along with the just, you will be subverting the very meaning of the words righteousness and justice! By implication back to God’s opening monologue, the problem becomes: how can I instruct my descendents to do justice and righteousness if you’re going to change the meaning of those words! It is analagous to the problem Rashi sees: how are we to make a covenant with God if God is going to change the terms of the Covenant? God needs to be a reliable partner, and Abraham’s objection challenges God to keep God’s word. This doesn’t necessarily help us to understand Abraham’s silence later on at the Akedah. Perhaps we can draw a distinction between Isaac’s potential offering-up as a sacrifice–which the ancients would have seen as an honor–and the fate of Sodom, which was clearly a punishment. Perhaps the issue that drives Abraham at Sodom–the loss of meaning of the central words of his mission–is not present at the Akedah, since the Akedah is not about justice and righteousness, but about emunah, faith and fidelity. These explanations may work for some, and they may ring hollow for others. The Akedah is one of the most challenging texts in the Torah, and it does not make for easy explanations. But my point in looking at Sodom this way is to help us see that it is not enough simply to ask why someone speaks up in one case but not in another. We have to look at each case individually. And when we look at the case of Sodom, we see that Abraham’s concern is to make sure that certain values remain timeless and not open to renegotiation, the values of tzedek and mishpat, of righteousness and justice, which are to be the core of our people’s covenant with God. The story of Genesis is the story of brothers. Specifically, it is the story of the struggle of successive generations to recognize one another as brothers—people who are same and different, common and unique. Beginning with Cain and Abel, and continuing with Shem, Ham and Yapheth, Abraham and Nachor, Isaac and Ishmael, Jacob and Esau, the sons of Leah and the sons of Rachel—all of these relationships and the stories that surround them prompt us to ask: how can brothers live together? Parshat Lech-Lecha marks a pivotal moment in this narrative. Abraham’s nephew, Lot, is taken captive during a war, and Abraham organizes a militia to rescue him, which ultimately results in the defeat of the kidnapping kings’ armies and victory for the opposing side. Abraham here engages in a bold and risky maneuver, bearing arms for the sake of his nephew. His decision to do so, to put his life on the line on behalf of someone who is not his own son but the son of his brother, is a turning point. The Torah draws our attention to it in its account: “And Abram heard that his brother had been captured” (Gen. 14:14). Lot is not literally his brother—the text should have read, “the son of his brother.” Yet Abraham hears—either through his own volition or through the force of his persona—that his brother has been captured. And he immediately springs to action, acting out of a sense of duty. It is immediately after this incident (ch. 15) that God appears to Abraham to establish a covenant with him. That covenant will provide security to Abraham’s descendents by creating bonds between members of the covenant. But it will simultaneously challenge all of Abraham’s descendents with profound questions: Who is your brother? To whom are we obligated? For whom would we risk our physical well-being? For whom would we sacrifice? Who is welcome in our land? With whom will we share it? The covenant seems to spring from Abraham’s recognition of Lot as his brother, as one towards whom he has a duty—and it raises the rich questions of membership and obligation that animate so much of Jewish life today. 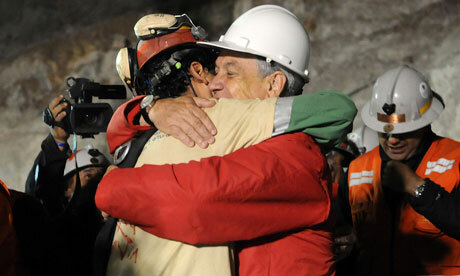 This past week many of us watched as the Chilean miners were rescued. The entire story was moving. The country spared no expense to undertake a risky operation. The president put his prestige and reputation at stake. And the entire country seemed to become a family in the process. In many ways, the story of Chile and the miners reminds us of the story of Abraham and the captive Lot. From where did the sense of duty to rescue them come? Somehow, the president and the people of Chile heard not that anonymous people were trapped, but that their brothers were captives. And in hearing that their brothers needed help, they took great risks on their behalf. The story of Abraham and Lot reminds us that the roots of the covenant lie in the consciousness of fellowship, the consciousness of brotherhood. To be a member of the covenant is fundamentally less a question of creed or doctrine than one of family and peoplehood. Do we see other Jews as our people, as those on whose behalf we would risk our money, our time, our prestige, our lives? That is the challenge of the covenant, the challenge that Abraham bequeathed to us all. Hayei Sarah tells two stories. The first is Abraham’s purchase of the Machpela Cave to bury Sarah. The second is the mission of his servant to find a wife for Isaac. There are comparisons we could make between them, such as the role that money plays in formalizing commitments, or the idea of promises and continuity at the heart of both stories. And the servant took out silver articles and golden articles and garments, and he gave [them] to Rebecca, and he gave delicacies to her brother and to her mother. (24:53). Eliezer is held up as a model of virtue, someone who Abraham trusts completely with one of the things about which he cares most in the world. And in this tiny detail–waiting to eat until he fulfills his mission–he reminds us that virtuous behavior begins with the basics. 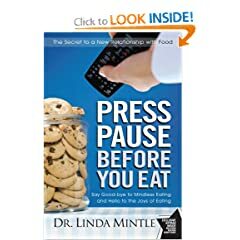 How and when we eat is reflective of our character. It is not simply about being polite; it is about demonstrating the most elemental aspect of humanity, our ability to fulfill commitments even when our animal instincts would tell us to do something else. One of the things we must reclaim as we awaken from the slumbers of modernity is a relationship with our food–not only in what we eat and how it comes to us, but in the very act of eating itself. In a culture of abundance, eating has become a casual thing. Yet Eliezer reminds us that the act of limitation in eating is basic to our humanity and our religiosity, and it is part of his overall makeup–a person conscious about their food is a person who takes life seriously, someone who can be trusted, someone who will deliver on their word. We need more of his ethic in the world.